Placing the right ad unit in the right location can make a lot of difference to your Adsense earnings through forums. 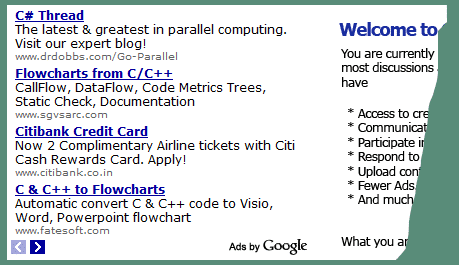 Adsense placement suggestions are everywhere including the one by Google. And I am sure you have already seen those type of suggestions and so instead of you going through the pain of testing which one works better than the other I have tested them all on variety of niche forums and I will be sharing with you the best 3 Adsense placement for you to use directly. Remember placing the right ad unit in the right location can make a lot of difference to your Adsense earnings through forums. I am not only going to tell you Top 3 Adsense placements for forums but will also show you real world examples that I use myself. Note that Adsense TOS does not allow me to share earning numbers and so I will not be sharing any numbers. My top placement for Adsense is a 728×15 link unit with 5 links per unit. Many people are surprised to hear this but the fact is, in forums link unit near the breadcrumb works the best. Try to have 5 links in the ad unit instead of 4 units because that will make the size of the Adsense links similar to your breadcrumb links. See the sample that I use on my MBA Forum. 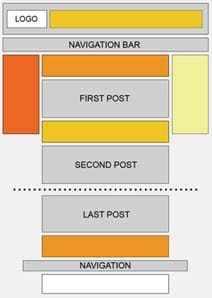 The next best performing ad unit is rectangle ad unit just below the navbar. 300×250 Ad unit performs better (See why here) but feel free to test other rectangle ads. You can see the ad in action at C Programming Forum and this ad unit is only shown to guests. Once the user is registered he does not see any ad below the navbar. One more test I did for this ad placement. Left aligned ad or right aligned ad and the one that works best is left aligned ad with content in the right and the only reason I can think off for this is the Google heat map. Many suggest an Adsense ad after the first post but I prefer to go one step further i.e. placing an ad after the first visible post and not after the first post of a thread. Thread pages can not only be found by thread id’s but also by post id’s and so having an ad unit after the first post is not as effective as having the ad after the first visible post. This has really worked well for me. Visit each URL and you will notice an ad after the first visible post in your screen and not after the first post of the thread. Which is your best performing Adsense Placement? If you have any question about Adsense ad placement, ask them in comments below. I will be more than happy to answer your queries. Also don’t forget to share your best performing ad placement. You are already overloaded with ads. I was referring to this: http://news.yahoo.com/rss/ with a link back to the source of course. is posting RSS feeds on forums against Adsense policy? I’m guessing it’s not a problem? I’ve been getting plenty of duplicate ads lately. How do you avoid duplicate ads on the same page even when using different formats? Why do I need to avoid them and it is best done by the ad networks. I don’t have a forum… yet. simply a website but I still got some tips here – thanks! Hi, Will you please check my forum site and let me know what you think about my adsense placement? I’m still adding in different spots but I would love to hear your feedback. Hi Justin, just a glimpse look at the home page shows that a banner ad takes more than twice the space than it should because of the black and blue box around it. Apart from that my personal choice is always add ads after certain traffic levels or else you will be demoralized with all zeros all round. The only question I have for quite some time now is about the Adsense Search Box placement. Have searched a lot about it but could not get much info. Can you share the best placements of Adsense for search. Naveen the only reason you don’t see much content related to Adsense for Search is because there is not much difference you will get when placing a box of different size at difference location. User searching for something on your site will find search box in few seconds anyway but I prefer to have it right at the top above the fold and preferably in center and if not in center than in the top right side of the screen. Yes I think I will try as you have in your forums but I have one more question. The way you have search on forums is quite prominent but not that much on this blog and is this intentional or design constraint. Sorry to bothering you all the time with such questions. No I am fine with your questions and so it does not bother me at all. Now your questions about search at CodeItWell.com I have plans to add the search in the header and I have that on my Finance Blog and so that will be coming soon here as well. This is nothing to do with design constraint or anything but as I am building more content first to be searchable. I am also looking forward to this questions answer. I already have given the answer and refresh the page to see my answer. The one that works best for me is a leaderboard below the navbar. Yes that is also a good placement but I think having a rectangle outperforms the leaderboard for me in few niches but not in all.